Welcome to NieR: Automata, the sequel to the cult hit from 2010, NieR. 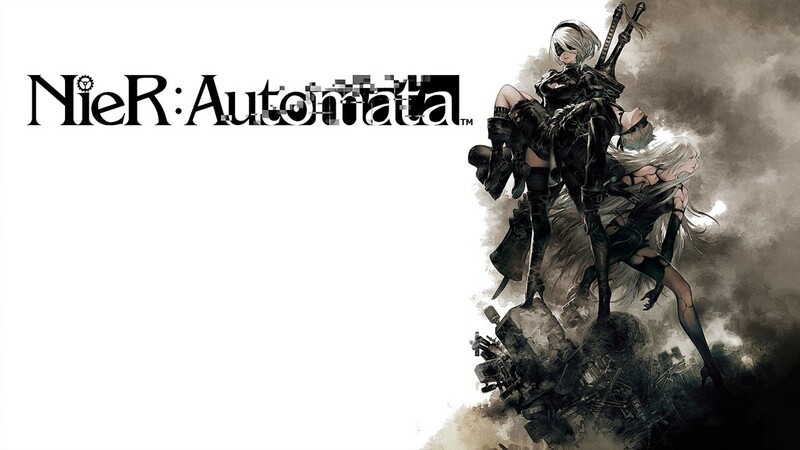 This time around Yoko Taro is joined by developer Platinum Games to bring his game world and story to life, which results in a great game with compelling gameplay and a great story. Step 1: Complete Route A. The first route of the game has you playing as 2B, going through all main story events. You can do about half of the side quests total during this first playthrough, along with earning all first section story trophies and a large chunk of miscellaneous trophies. It’s a Healthy Baby Boy! Step 2: Complete Route B. The second route of the game has you playing as 9S, through a similar story path as route A, but with different perspectives and story info. You won’t earn as many trophies in this playthrough as there are no specific trophies for this route other than the ending, but there are some new side quests and chest that can now be opened. If you encounter any Golden Robots that you decide to kill, try and obtain a Powerup Part S from them, as this is a missable item if you complete the Golden Robot sub-event without obtaining one. See Supreme Support Weapons for details. Step 3: Complete Route C.
The third route of the game takes place after route A and B, with new events and the actual story ending. You will earn more story trophies in this playthrough as well as one of two possible ending trophies. Step 4: Clean-up via Chapter Select. After you finish route C you gain access to chapter select, which allows you to jump to any point in the game’s story to repeat story events or do side content. You can also jump to the very end of route C to do the opposite ending and get the final story ending. While doing all miscellaneous endings, be aware of the missable Ending Y – though this cannot be done until after you have fully upgraded all 39 weapons. See Transcendent Being for more details. Note that the guide is written from the perspective of not using the trophy shop and doing the trophy requirements legitimately. The trophy shop won’t be mentioned anywhere else in the guide other than this and the below paragraph. Once you finish the route C of the game for the first time, you can then go to a vendor in the Resistance Camp and purchase the trophies from the game with the in game money. All trophies in the game can be purchased from the vendor that aren’t related to story events or endings A/B/C/D/E. They cost between 50,000G and 200,000G each depending on how hard the actual requirement is. It costs around 2 million total to buy everything, but it is not required and you can back up your save to buy groups of trophies at a time. The easiest way to go about buying the trophies assuming you do it immediately after finishing route C the first time is to sell off all materials and chips you aren’t currently using. This alone should get you at least a million G, so will only require you to do two backups. Once you’ve done this and bought all your trophies you can use chapter select to go back and finish your remaining main story endings if you didn’t already do so. 2B or not 2B, that is the question. Congratulations! Stare into space from the Bunker. Arrive at the city ruins. Complete the amusement park ruins. Control A2 for the first time. Stop all resource recovery units. Watch the final moments of Devola and Popola. This trophy is related to Ending D, which is achieved by selecting 9S when prompted at the ending of the game. If you didn’t pick this ending first you can chapter select to Chapter 17-09 to be at the decision point again. This trophy is related to Ending C, which is achieved by selecting A2 when prompted at the ending of the game. This trophy is related to Ending E, which occurs immediately after Endings C or D, whichever you are doing second. After whichever one of those endings finish you will be put into the Ending E dialogues, where the Pod asks if you want to save data. Select Yes for both of the first two questions. Ending E consists of a long dual stick shmup section where you shoot the words from the game credits. It starts out easy and gets gradually harder, eventually reaching a point where it is nearly impossible. After you die about 5 or so times (always choosing not to give up) the game will ask you if you would like help, select Yes and you will then gain another number of ships around yours that shoot and block damage, which allows you to reach the end of the credits. Once the credits end, you will be asked if you would like to sacrifice your saved data to help other struggling players. You can do this if this was your last trophy, but do not do it if you still have other trophies to earn as this completely deletes your save. This trophy is awarded for picking up your own body after death. This game has a system similar to the Bloodborne/Souls games where if you die you leave a body at your location of death that includes all your currently held non-essential chips. You need to go back to your place of death and pick up your body to get your chips back or they disappear. After you pick up your body in this manner the first time you will get this trophy. This trophy is awarded for recovering 100 total bodies from the game world. While this trophy doesn’t require playing online and picking up the online bodies, it is highly recommended you do as there is a large benefit to doing so and it doesn’t make the trophy a grind. Picking up bodies from online players gives you money and temporary stat bonuses as well as healing your health, so they’re useful to have in certain areas outside of just going for the trophy. You can see your number of bodies collected in System > Play Records and then by looking at the top listed “Bodies Collected” stat. This specifically counts bodies that weren’t your own that you pick up, though your own do still count for the trophy. This trophy is awarded for completing any side quest during the game. This is basically unmissable as you are prompted to do two sidequests when you enter the Resistance Camp for the first time in Chapter 2. 80% of all quests completed. This trophy is awarded for completing at least 80% of all sidequests available in the game. There are a total of 60 sidequests in the game, so you will have to complete 48 of them in order to get this trophy (give or take a few, as different quests have different percentage values). You can see total completed side quest percentages as well as current and completed Sidequests. Do note that quests will automatically fail if not done by a certain point of the story (the first story event that occurs in Flooded City), and if this happens you will have to do them again on another route, or through Chapter Select. Because of this it recommended you complete quests that you start, as if you do them on another route or during Chapter Select, you will lose any progress you made on those quests initially. The only quests that don’t reset progress are the Robo Dojo quests (as they’re all individual quests as opposed to one long quest), and the Half-wit Inventor quest. Once you have access to chapter select you can see the number of available quests in each chapter along with which ones you have completed. Note though that quest progress resets when using chapter select again (as well as letting your repeat some sidequests) so if you’re doing a sidequest that you know you need make sure you finish it in one go before using chapter select again. 80% of all archives found. This trophy is earned by collecting at least 80% of the archives found in the game. Archives are basically text collectibles acquired through various means that include story and previous world events (or are just fun jokes). You can’t get many archives during Route A, but during Route B a large number of them are acquired through the locked chests you couldn’t access in Route A, and then even more are acquired through side quests and story events in Route C.
Below is a list of all archives and how to obtain them. Pearl Harbor Descent Records – Ch. 14-01, talk to Anemone as A2, then read the records on the terminal behind Anemone to receive all of these. Letter to the Forest King – Acquired during the quest Treasure Hunt at the Castle. 11B’s Escape Plan – Acquired during the quest 11B’s Memento. Jackass’s Bomb Recipe – Acquired during the quest Sorting Trouble 3. Library Index – Found in the library of The Tower (Chapter 17) while playing as A2. Human Server Records – Found in the library of The Tower (Chapter 17) while playing as A2. Tower System Outline – Found in a hackable chest inside the Soul Box (Chapter 15). Class 1 Patient Health Record – Found in the library of The Tower (Chapter 17) while playing as A2. [Top Secret] Black Box – Found in a hackable chest inside the Soul Box (Chapter 15). [Top Secret] Model No.2 – Acquired during The Tower (Chapter 17) while playing as 9S. [Top Secret] YoRHa Disposal – Acquired during The Tower (Chapter 17) while playing as 9S. Weapon Shop Flyer – Found in a hackable chest in the Valley below City Ruins. Engels 110-B Record 0005 – Acquired during the quest Machine Examination 1. Engels 110-B Record 0010 – Acquired during the quest Machine Examination 2. Engels 110-B Record 0020 – Acquired during the quest Machine Examination 2. Infant Machine’s Memories – Story-related, obtained during Route C.
Shipping Records – Ch. 08-01_3, acquired during the hacking sequence. YoRHa Body Storage Records – Ch. 08-01_3, acquired during the hacking sequence. Council/YoRHa Records – Ch. 08-01_3, acquired during the hacking sequence. A Pious Robot’s Will – Found in a hackable chest behind the throne in the Abandoned Factory. Record of a Bestial Machine – Acquired during the quest Turf War. [Top Secret] Project YoRHa – Acquired after a conversation with the Commander in Route B (Ch. 10-01_1). Abandoned Factory Memo – Found in a hackable chest in Abandoned Factory. Factory Cafeteria Sign – Found in a hackable chest in Abandoned Factory. Newspaper Scrap – Found in a hackable chest in Flooded City, across the water (use long jump technique to reach it: hold to start a glide, then press to spin with your Pod. Press 4 more times with a Small Sword equipped to move forward, then hold to glide again and to spin again. Press to dash forward, and finally glide and spin one last time by holding then pressing ). Filthy Lottery Ticket – Found in a hackable chest in Amusement Park Ruins, below the rollercoaster in the area with the Robot Tank. Tattered Pamphlet – Found in a hackable chest in Amusement Park Ruins, behind the rocket ship ride that’s directly behind the access point. Rotten Info Sheet – Found in a hackable chest in Forest Kingdom, directly outside the entrance to the castle. Strange Doll – Found in a hackable chest in Forest Kingdom. Bulletin Record – Found in a hackable chest in Desert: Housing Complex, near the access point. Paper Attached to Vehicle – Found in a hackable chest next to a van in City Ruins, under the bridge that leads to Abandoned Factory. Ragged DVD – Found in a hackable chest on a rooftop in City Ruins (must long jump to reach it, see Newspaper Scrap archive for how to long jump). Department Store Flyer – Found in a hackable chest just outside the entrance to City Ruins: Commercial Facility. Nuclear Arms Manual – Found in a hackable chest in a multi-storey building next to the crater in City Ruins. Mysterious Lithograph 1 – Found in a hackable chest in Desert: Apartment Complex. Mysterious Lithograph 2 – Acquired during the quest Heritage of the Past. Mysterious Lithograph 3 – Found in a hackable chest in the Desert, at the Oasis visited during the Photographs quest. Mysterious Lithograph 4 – Found in a hackable chest in the Desert, next to where one of the Lunar Tears are for the Emil’s Memories quest. You must go through the sand caves to reach it. Project Gestalt Report 1 – Chapter 9-02_01, on the first detour while hacking as 9S. Project Gestalt Report 2 – Chapter 9-02_01, on the second detour while hacking as 9S. Project Gestalt Report 3 – Chapter 9-02_01, on the second detour while hacking as 9S. Project Gestalt Report 4 – Found in a hackable chest in the lower section of the Underground Cave below City Ruins. Project Gestalt Report 5 – Found in a hackable chest in Abandoned Factory. Project Gestalt Report 6 – Found in a hackable chest in the Desert. You must go through the sand caves to reach it. Project Gestalt Report 7 – Found in a hackable chest in the middle section of the Underground Cave below City Ruins. Project Gestalt Report 8 – Found in a hackable chest in the Desert, in the dunes to the right as you enter the Desert proper. It’s next to a rock at the bottom of a sand dune. Project Gestalt Report 9 – Found in a chest in The Tower (Chapter 17), in the first room with enemies as 9S. Project Gestalt Report 10 – Found in a chest in the Lunar Tear room below City Ruins: Commercial Facility. You go here at the end of the Emil’s Memories quest. Project Gestalt Report 11 – Found in a chest in The Tower (Chapter 17), in the room with clone enemies as 9S. Machine Research Report – Acquired upon completion of Route C.
80% of all unit data unlocked. Unit Data is information about the different enemies and special characters in the game. This trophy is earned for collecting at least 80% of the Unit Data. You can view all currently obtained Unit Data as well as your percentage of data obtained in the Intel menu. Unit Data comes from killing enemies, completing story chapters, and finishing various sidequests. If you are doing side quests and exploring as you play through the story you should get this trophy around 3/4 of the way through Route C.
95% Unit Data is required for one quest, Reconnaissance Squad, which while not necessary for any trophies does reward 5 Elaborate Gadgets which are needed for upgrading your Pods for Supreme Support Weapons. If you’re not intending to purchase this trophy, getting the Elaborate Gadgets via this quest is easier than the alternative of farming certain harvest points for them. 80% of all plug-in chips collected. This trophy is awarded by collecting a total of 80% of the various types of plug-in chips. This is something you very likely will not have to try for, as plug-in chips are awarded from quests as well as being random drops from defeated enemies. You can also purchase them from various merchants in the game world. There isn’t any way to track this, but you should likely get this trophy before finishing both route A and B, as you can acquire the majority of plug-in chip types right from the start of the game. Pod Programs are the abilities you can use with your Pod by pressing/holding . There are 17 in the game, one of which you start with and another you get through the story. 6 can be bought, while the others are rewards from side-quests or found in the open world. Below is a list of their locations. R010 Laser – This is the Pod Program you start with. R020 Mirage – 10,000G from Maintenance Store in Resistance Camp / The Bunker. R030 Hammer – 10,000G from Maintenance Store in Resistance Camp / The Bunker. R040 Blade – 10,000G from Maintenance Store in Resistance Camp / The Bunker. R050 Spear – 10,000G from Maintenance Store in Resistance Camp / The Bunker. R060 P Shield – 10,000G from Maintenance Store in Resistance Camp / The Bunker. R070 M Shield – 10,000G from Maintenance Store in Resistance Camp / The Bunker. A080 Wave – Reward from Wandering Couple quest. A090 Wire – Reward from Amnesia quest (9S only). A100 Decoy – Next to a YoRHa corpse on the roof of the starting building in the City Ruins (Route C). A110 Slow – Reward from Data Analysis Freak 2 quest(9S only). A120 Repair – Reward from Sorting Trouble 3 quest. A130 Bomb – Reward from Find a Present quest. A140 Gravity – Reward from Retrieve the Confidential Intel quest. A150 Volt – Near Robot Tank in Amusement Park (Route C). A160 Missile – Next to a YoRHa corpse on the container right outside where you fought the first boss in the prologue, in Abandoned Factory (Route C). A170 Scanner – Story-related, obtained during Route A. Any weapon upgraded to the highest level. This trophy is awarded for upgrading any 1 weapon to maximum level, which is level 4. Upgrading weapons to level 4 requires going to the Blacksmith Muramasa, who is located in the Forest Castle which you reach in chapter 6 and is located directly under the Access Point “Forest Castle: Royal Chamber”. All weapons upgraded to the highest level. This trophy is awarded for upgrading all weapons to maximum level. There are a total of 39 weapons you need to upgrade: 13 Small Swords, 9 Large Swords, 9 Spears, and 8 Combat Bracers. All weapon upgrade materials other than Beast Hide can be purchased from vendors during the game. All Pods upgraded to the highest level. This trophy is earned for upgrading all three pods to maximum level. Pod upgrades can be done at two vendors during the game, one in The Bunker and one in the Resistance Camp. One of the required materials, Powerup Part S, is missable. You need to acquire 3 of these, 2 of which can be obtained from quests. The third can only drop from Gold Goliath Bipeds. These enemies spawn as part of a mini-event that doesn’t appear under the quest tab, in which you must kill golden stubby robots guarded by either a Goliath or Tank in four locations, in order. You’ll first encounter them in the City Ruins near the bridge leading to the Abandoned Factory, once they are killed they will spawn on the bridge in Flooded City, then they will spawn on the dunes just outside Desert: Housing Complex, and finally they will spawn on the bridge in the Flooded City again. They will continue to spawn at these first few locations until you defeat the final one in Flooded City, at which point you will no longer be able to encounter them again, so make sure you acquire at least one Powerup Part S from these Golden Goliath Bipeds before you kill the fourth golden stubby robot. Play your first hacking game. This trophy is earned for the first time you complete a hacking minigame as 9S. This is a gameplay mechanic you encounter in Route B where in place of a heavy attack you can hack an enemy, which initiates a twin stick shooter minigame. You are required to do this at the start of Route B so you will get this trophy without trying. 100 machine lifeforms destroyed by hacking. This trophy is earned for destroying a total of 100 machines with hacking. This counts any machines you hack, whether it be friendly or hostile machines. If you hack friendly or unaware machines you get three options as to what to do, and for this option you choose the top option to destroy the hacked machine. If you don’t earn this during the story, a good place to work on it is at the Amusement Park during Chapter 5 – 7. All the docile machines count when destroyed so you can go through, hack everything, then save/reload your game and the machines will respawn. 50 machine lifeforms destroyed by remote control. This trophy is earned for destroying a total of 50 enemies while remote controlling other enemy machines. You aren’t specifically introduced to this until late in Route B and you don’t have to kill a lot of machines, so it’s likely you won’t get this through normal progression. A good place to work on this is the same as regular destroys, in the Amusement Park during Chapters 5 – 7. Hack one of the Medium size Machines with the arm cannon, then use them to destroy the other machines in the area. Save/reload to respawn the Machines and repeat until you earn the trophy. 50 machine lifeforms destroyed with berserk mode. Berserk Mode is a game mechanic exclusive to A2 which you can use when you play as her during Route C. Instead of self destructing when + are held she will enter Berserk Mode, which causes her health to constantly but greatly increases her health power. Once her health reaches 1 she is stunned and is in a hurt state like 2B and 9S do after self destructing. There isn’t really a “good” place to grind this, as there aren’t a large number of places with a large number of enemies like in previous playthroughs. An easy way would be running around the City Ruins and killing everything you find, healing your health as you go. There isn’t a way to track the number of kills you’ve done in Berserk Mode, so you will just have to keep doing it until you earn the trophy. 255 enemies destroyed using a flight unit. Throughout the game you will be engaged in various schmup sections where you are flying around in a flight unit taking out enemies. These are all story sections, so this story is basically story related as long as your aren’t actively trying to shoot things. Assuming you aren’t having to restart the schmup sections you will likely earn this trophy during the shmup section in Chapter 7 in route A. Materials gathered at a hidden harvest point 10 times. At the start of Chapter 8 route A you will be given Pod program A170: Scanner. You are supposed to use this for story events, but another thing you can do with it is find hidden items around the environment. This is required for specific items such as a few upgrade parts and weapons, so it would be advised while exploring or just running around to be holding out the scanner and looking for the hidden object points. Once you pick up 10 of these points (there’s way more and some respawn) you will earn the trophy. There are 3 Pods you can acquire in the game. You’ll start the game with Pod A, Pod B can be fished up in the Flooded City, and Pod C will appear as a point of interest (red marker) in the Desert after completing the Alien Ship (Ch. 05-04). Pod A – you start the game with this pod. Pod B – obtained while fishing in Flooded City. Pod C – appears on your map as a red marker in Desert after completing the Alien Ship (Ch. 05-04). At least 100,000 G in possession. This trophy is earned for having at least 100,000 G in your possession at one time. You will very likely get this without trying from completing side quests and killing enemies. Depending on how many of the side quests you do you can earn this in the first playthrough even with buying all weapons available. Any animal ridden for 5 kilometers. Once you gain access to the merchant in the Resistance Camp you can buy a “Sachet” which stops the Moose and Boar in the game world from attacking you. You can also buy Animal Bait, which brings over animals and allows you to ride them which is required for this trophy. You can ride the animals while going to places which is faster than running or just run one in circles to earn the trophy. You can also gain items later in the game that make all animals ride-able without bait, and one that causes animals to come towards you and spawn near access points. These aren’t required for the trophy, but are useful is you want to use the animals legitamitely to get around. 20 different kinds of fish caught. Fishing in this game is rather simple, whenever you find water you can hold to deploy your Pod. Whenever it dips below the water and you hear a splash, press to catch the fish. No complex mechanics, you can do it without even watching the screen. There are 41 different kinds of fish you can catch, so you only have to catch just under half. A lot of fish are specific to certain waters throughout the game, but catching 20 kinds shouldn’t take too long as long as you fish in each area. Below is a list of all fish, as well as where you can catch them. They are listed in the same order they are listed in the Fishing Encyclopedia. Amusement Park Ruins – this freshwater fishing spot is on the bridge outside the castle. City Ruins – there are freshwater fishing spots outside the Resistance Camp, all the way up to the Commercial Facility. City Ruins (Sewers) – there are two Sewers, one leading towards the Amusement Park Ruins and one leading towards the Flooded City. City Ruins (Valley) – this freshwater fishing spot is beneath the bridge that leads to the Commercial Facility. Desert (Oasis) – the Oasis is in the north-east section of the Desert, through the sandstorm. You venture here as part of the Photographs side-quest. Desert (Oil Field) – the Oil Field is to your far left as soon as you enter the Desert proper, and contains an access point. Flooded City – this refers to all the saltwater fishing spots in the Flooded City. Flooded City (coastal waters) – this specifically refers to the waters on the outside edge of Flooded City, not the inlets. Deep coastal waters are the waters close to the missile. Forest Kingdom – any of the freshwater fishing spots throughout the forest, though the river running through the middle is the best spot. Underground Lake – this is found at the lowest level of the Underground Cave, which can be accessed by jumping into a sewer pipe near the top of the crater in City Ruins. You can also catch two items that don’t count towards this trophy, but are needed for other trophies. There is a weapon, Iron Pipe, as well as a Pod, Pod B. 10 friendly machine lifeforms destroyed. As you progress through the game you will encounter friendly machines, indicated by the white symbol on the map as opposed to the black symbols for enemies. Simply destroy any 10 of these friendly machines for the trophy. A good place to do this is Machine Village or Amusement Park Ruins. Friendlies will respawn upon leaving the area, so you don’t have to worry about locking yourself out of anything. 2B’s secret discovered 10 times. In order to discover 2B’s secret, you have to look up her skirt and hold the camera there. You know it will count as 2B will step back and the camera will reset. Because of how the camera works this is easier to do when standing on an edge. 1 hour played with 9S in a certain state. The certain state that this trophy refers to is 9S after he self-destructs and blows his pants off. To self-destruct, hold and for 2 seconds so that the on screen timer runs out. Once you self-destruct, you will remain in this state until you die, use an Access Point for fast travel, or exit the game, so if you do any of these before the trophy pops don’t forget to self-destruct again. Emil’s shop used for the first time. Emil’s shop is first available for use in Chapter 6 after you find Emil when going toward the Forest Kingdom. After he runs away and you finish the chapter you can find him driving his truck around various spots in the City Ruins as marked on the map with an Emil head. He will be speeding around and to get him to stop you have to shoot him with your Pod. Go talk to him and he will have a random shop stock out of 4 possible groups, based on how fast he was going. Once you enter then exit his shop you will earn the trophy. First, be aware that Emil is level 99, so this is very likely something you shouldn’t attempt until after you have finished the game and are doing cleanup as you should be at least level 80 to attempt the fight. The best way to level up is by hacking and killing the Rabbit Machine that poses as a statue in the entrance to the amusement park. This can be done by going to that area as 9S during chapters related to route A/B (4 – 8 are good options). Go to the Amusement Park and hack one of the medium arm cannon Machines and use it to kill all other machines in the area. Then while still inside the machine lock on to and hack the rabbit statue in the middle of the open area to damage it and bring it to life. At this point you can hack it again to kill it or just attack it normally. You can then pause and save/reload to get the rabbit to respawn. Repeat as many times as desired to get at least above a recommended point of level 80. You can see an example of how this all works in the video below. Second, you need to go talk to Emil at least once so that he has told you in your story instance where his house his. Once he has, head down into the blown up area in City Ruins, and head up the ramp that leads to a drop off that has a drain pipe with water coming out of it in the left wall. Jump into this and head down the elevator to go down into the area where Emil lives. This is a large cave system, and at the bottom of the area through some doors is Emil’s house itself. On the right side there is a rack of masks, with one on the ground you can pick up. Take it then head back to the top to talk to Emil again (there’s an elevator just outside you can take back to the top). Third, once you talk to Emil he’ll mention that someone stole from his house and he has a locked box now. You should now go back to his house the same way (you can take the elevator back down instead of taking the long way) and steal the item out of the hackable chest in front of his house. Now once you try and leave you’ll be stopped by Emil in the empty room, forced to fight him. The fight can be tough, and because of his level is really more about avoiding his attacks while damaging him from afar. You can try and hack him for damage if you want and can take him out with around 3 hacks if you’re level 99, but the time to hack him is very long so it wouldn’t be recommended. It overall seems easier to just stay away from him and shooting him with your pod. Laser would be recommended as it’s constant damage and will also take out the projectiles he shoots at you. If you’re around level 80 and have an upgraded laser pod you will do a lot of damage, so you mostly just have to spend your time avoiding him. He will occasionally charge at you with melee attacks which will do a large amount of damage, so you must be sure to avoid those. Once you get his health down to zero the fight will be over and you’ll earn the trophy, along with getting a weapon required for the weapons trophy. The place of memories has been visited. For this trophy, you must complete the quest Emil’s Memories. This side-quest can be started after meeting Emil in the Commercial Facility on the way to the Forest Kingdom, and then talking to him in the City Ruins where he roams. To start it you must interact with the Lunar Tear in the commercial facility, underneath a tree. Once you have the quest, you will need to find four Lunar Tears throughout the world to help Emil recover his memories. These locations are marked on the map as red search zones. Amusement Park – right side alley underneath stairwell, next to the item shop vendor. Desert – to get to this one you must go through the underground caves, taking the south-western route. When you arrive outside, jump across to where the Lunar Tear is hidden. There is also a hackable chest here with an archive in it. Forest Kingdom – inside a small cave right next the massive valley. There is also a weapon in a chest next to it. Flooded City – right on the coast next to the missile. Be careful not to kill the enemies as required for the main story quest, as doing this will lock out any side-quests you have active until the next playthrough! Once you find all four Lunar Tears, Emil will give you a key to an elevator. Return to the Commercial Facility and use the elevator there. Once you reach the secret room and speak to Emil, you will complete the quest and obtain this trophy. There is also an archive in this room in a hackable chest. There are 26 endings you much achieve in order to earn this, A-Z. A-E are the main endings, whereas F-Z are primarily joke endings that can be earned at certain points throughout the story. Ending Y is missable. These can be earned while you are playing through the game, or done via chapter select after completing your third playthrough. Below is a list of all 26 endings, with descriptions of how to achieve them, as well as their respective chapters and sub-chapters. Complete Route A to achieve this ending. Please see One Battle Ends. Complete Route B to achieve this ending. Please see A New Battle Begins. At the end of Route C, choose A2 for this ending. Please see Beautiful World. At the end of Route C, choose 9S for this ending. Please see Leaving for the New World. Acquired during the credits immediately after both Ending C/D (whichever ending you complete second). Say yes to the prompts and you will start a bullet hell sequence during the credits. Complete it for this ending. Please see The Minds That Emerged. At the end of the prologue with 9S, you’ll be helping 2B by hacking into the boss, Engels. During the final hack sequence you’ll receive a 3 minute timer to complete it. Let the 3 minutes run out to get this ending. This is right at the start of Route B, when you first gain control of 9S. Instead of boarding the flight unit as instructed, head across one of the bridges to leave the area to get this ending. When the Goliaths attack the City Ruins, you’ll be instructed to reach the flight units in order to fight the Goliaths. Leave the City Ruins by heading towards the Desert, Abandoned Factory or Amusement Park to get this ending. This is obtained during the fight against Adam as 2B in the Copied City. After defeating him, simply walk away from 9S and leave the area. This is near the end of 2B’s playthrough, when you reach the Abandoned Factory with Pascal. As soon as you enter the factory there will be purple robots waiting for you, with one standing at the back. Kill this robot for the ending. After completing the Alien Ship, you’ll receive an email titled Jackass: Fish. Speak to Jackass at the Desert Camp and she will give you a Mackerel. Eat it to obtain this ending. You can alternatively catch Mackerel in the Flooded City. This can be done right when 9S falls out of the sky and crashes a flight unit into a massive machine. When the fight with the Spherical Machine starts, run away from the battlefield until this ending triggers. This can be done during Route C while playing as A2. Pod 042 will tell you that Pascal needs help. Instead of going to his village, simply leave the City Ruins to any other area to get this ending. In order to get this ending you must destroy all the machines in Pascal’s Village. This cannot be done when you first arrive as more machines appear in the village as the story progresses, the best time to do it is when you’re instructed to go to the Flooded City. Destroy all machines without leaving the village (they’ll respawn if you leave) and it will trigger upon killing the final machine. Near the beginning of Route C when you first gain control of 9S, you’ll have to help 2B and the other contaminated YoRHa after defeating some machines. Instead of helping 2B, simply run away. This can be earned in Route C when your system is getting corrupted as 2B. It will be visibly corrupting on screen with a percentage bar, wait several minutes to let this reach 100% to achieve this ending. When you first have control of 9S by himself in Route C, you’ll be searching for 2B. When he asked Pod 153 about her location, walk anywhere but the quest destination to get this ending. This can be earned when you arrive at the Abandoned Factory as A2. Head inside to find Pascal and the children, then kill them all for this ending. Right near the end of Route C, you’ll be tasked with hacking into the Tower while Devola and Popola defend you. To get this ending, run out of the crater away from the combat while Devola and Popola continue fighting. This ending can be earned at any time. Go into the Plug-in Chips menu under Skills, and one of the default-equipped chips is called OS Chip. Remove, destroy or sell this chip to get Ending T.
This ending can be earned at any time, as long as you have access to The Bunker. While on The Bunker, self-destruct by pressing and , which will destroy The Bunker and give you the ending. Right near the end of Route C, you’ll be tasked with hacking into the Tower while Devola and Popola defend you. To get this ending, simply don’t hack the tower for several minutes. Either fight with Devola and Popola or just wait, after enough time has passed you will get this ending. This can be done at any point during the prologue. Simply die as either 2B or 9S and you will get it. If you are level 99 when attempting this, your best option is to do it during Ch. 01-1_1, as even at level 99 the enemies in this section will still kill you in 5-6 hits. This can be earned in Route C when your system is getting corrupted as 2B. Head to the quest destination as instructed and you’ll gain control of A2 for the first time. Instead of protecting 2B, run across the bridge to get this ending. Ending Y is a unique ending, in that it’s both missable and requires a lot of preparation to be able to do it. Before you even attempt this ending, it is highly recommended that you have a back-up save on a second save slot in case you accidentally miss the ending. Level 99 is also recommended. Before you can do this, you must acquire and fully upgrade all 39 weapons in the game (please see Inorganic Blade for details on how to do this). Once you have all weapons fully upgraded, a new quest marker will appear in the Commercial Facility (as long as you’re in Ch. 06-03 or later). Go here and you’ll recieve a side-quest from Emil. Head to the quest location in the desert and you’ll have to fight multiple Emils, which are Level 99. Damage each Emil head until it puts a shield up, and do this until you’ve done it to all of them. Once they’re all done, all but one will explode and the final one will start a 10 second countdown. You must let the timer end to get this ending! If you attack this Emil during the countdown, you will complete the quest and will not be able to do this ending on that savefile. After you get the ending by letting the timer run out, you can safely complete the side-quest when you reload the save. When you first meet Pascal as A2 outside the Resistance Camp, he will ask you if you want to destroy him. Choose “Destroy Pascal” and then attack him for this ending.